Discover the revolutionary new way to transform your flooring design concepts into reality! “VISIONS” Series Custom Flooring is a custom-print, digitally imaged, high -traffic, sheet flooring material that is easily tailored to any flooring project. Our unique, printing technology protects your designs and will perform for years, handling any amount of foot (or vehicle) traffic with ease. The print lies beneath and is protected by the wear layer. both permanent and re-positionable/movable constructions, giving you the ultimate choice in how you want to design and use your floor. 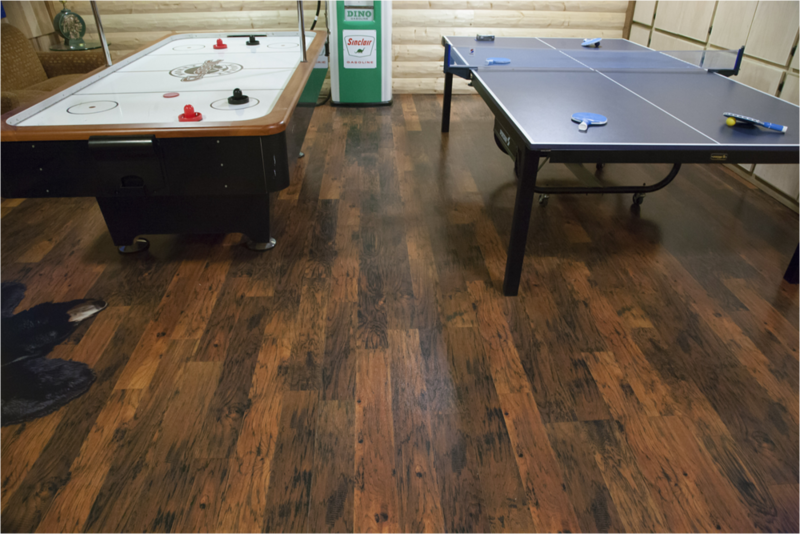 The Designer Series is our most creative option as it is an entirely 100% custom printed floor. This series best serves the Architectural/Design firms and End-Users such as Healthcare, Retail, Entertainment, Arts, Museums and Higher Education because of our unique manufacturing method. We can literally print any art you have, and turn it into high-quality sheet flooring. Our Hybrid Series line was created specifically for clients that want to incorporate Logos and/or Theming with our existing Luxury Series patterns. This Custom Branding option allows for placement of a logo, advertisement or themed element on our Wood Look patterns or any of the 45 Luxury Line designs.